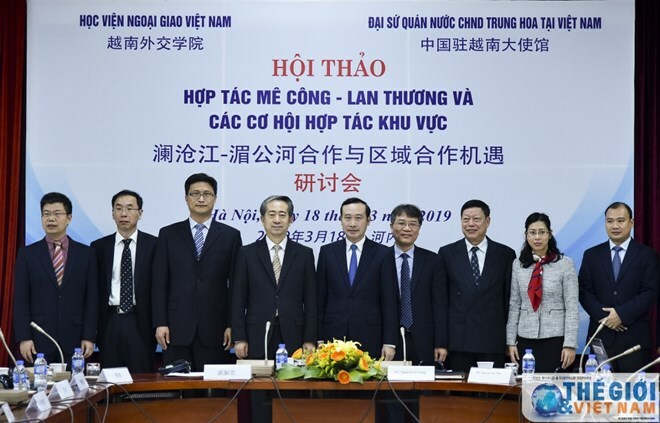 Hanoi (VNA) – The Diplomatic Academy of Vietnam and the Chinese Embassy co-organised a seminar on Mekong-Lancang Cooperation (MLC) and related regional collaboration opportunities in Hanoi on March 18. Speaking at the event, Assistant to the Vietnamese Minister of Foreign Affairs Nguyen Van Thao said the MLC mechanism, established three years ago, has seen positive activities and now brought the cooperation from the start into its development phase. Chinese Ambassador to Vietnam Xiong Bo said six MLC countries share a close connection in terms of geographic location, economy, and culture. The nations have realized their ideas via a series of activities related to economic cooperation, infrastructure, cultural exchange, education and health toward openness, equality, inclusion, and mutual support.